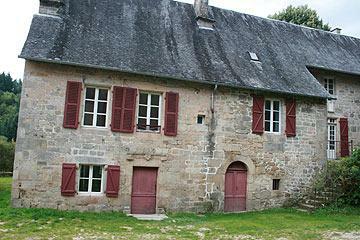 Correze is a small town (or rather a large village) north-east of Tulle in the Correze department of the Limousin. The region around Correze, known as the Plateau de Millevaches, is very picturesque with forest covered valleys, small fields and ancient hedgerows, and Limousin cows quietly setting the scene. 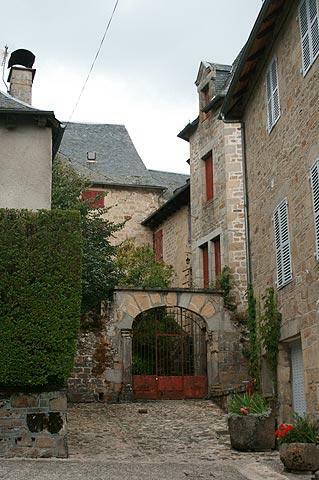 In Correze itself, there is now a larger, more recent town that has grown up around the original village but the medieval heart is quite intact and is very interesting and attractive. It is found just a few yards off the main road through the town. Spread out around the sturdy square towered Church of Saint-Martial, the medieval houses have a variety of turrets, carvings and unusual architectural features, and mostly date from the 16th and 17th centuries. The architecture is typically in the renaissance style with the most imposing example being the house opposite the chevet of the church with its renaissance entrance, doric frieze and half-columns (pilasters). You will also notice carved shells on at least two of the houses. These are the traditional symbol of the medieval pilgrim path that crosses France and leads to Compostela di Santiago in Spain. 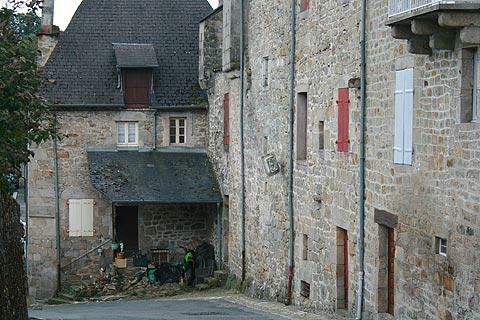 The village also contains some of the original ramparts - one entrance to the village is through the original gateway, at Porte Margot. 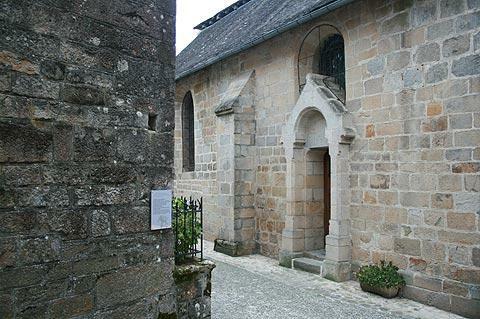 Correze usefully has explanatory signs indicating the most unusual buildings such as the Chapel du Pont du Salut. 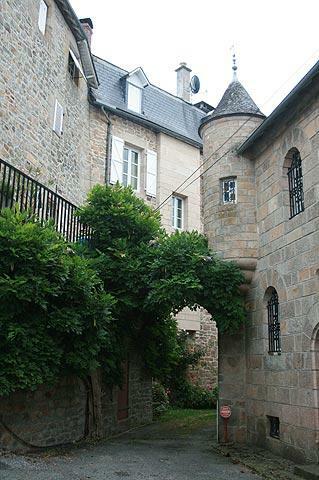 Parking is available opposite the town hall in Correze, just metres from the medieval village. 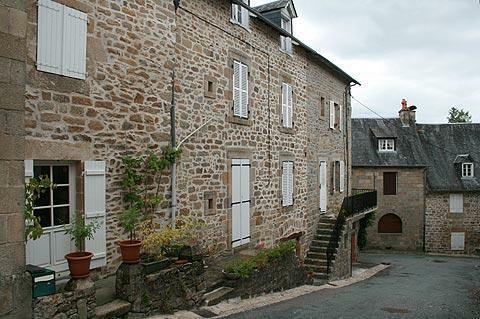 The countryside around Correze is very much as you might imagine that France was 50 years ago, with remote farms lost in the wooded hills, and occasional small villages and towns. 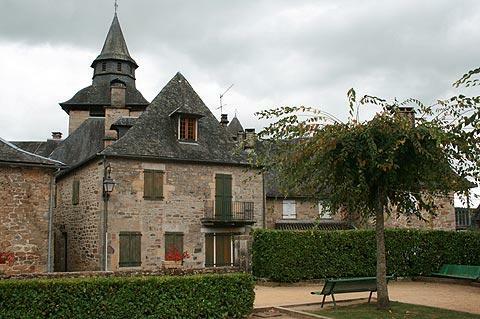 The local villages of Vitrac-sur-Montane and Sarran merit a visit, then in particular we recommend that you visit the village of Treignac (which is classified as one of the most beautiful villages in France) to the north of Correze. 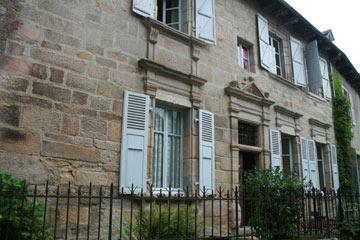 Be sure to also visit the town of Uzerche to the west of Correze. Uzerche is quite undiscovered by tourists but contains a very extensive historical centre spread along a hilltop and deserves to be better known by visitors to France.